. This page is for reference only. 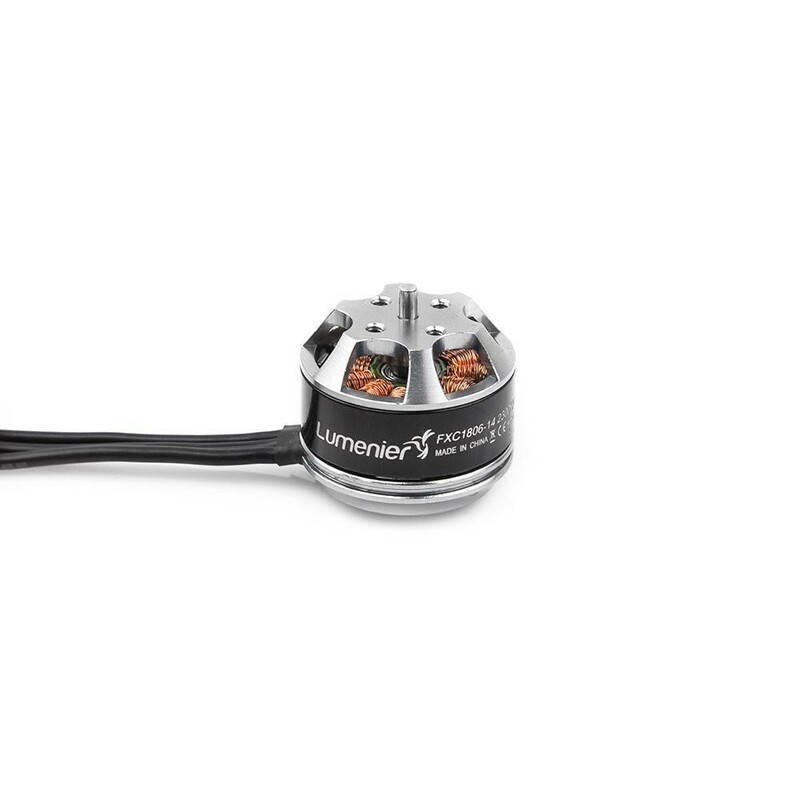 The Lumenier FXC1806-14 2300kv multi-rotor motor uses high quality parts and bearings to produces a very smooth running motor with great performance, it's perfect for spinning a 5" prop on the QAV250 Mini Quadcopters and other similar mini quadcopter systems. The FXC1806-14 2300kv motor gives you the very best of high performance flights when used with 3s lipo battery. The FXC version of Lumenier motors support the direct fitment of carbon fiber propellers like the Lumenier 5x3 Carbon Fiber Props. 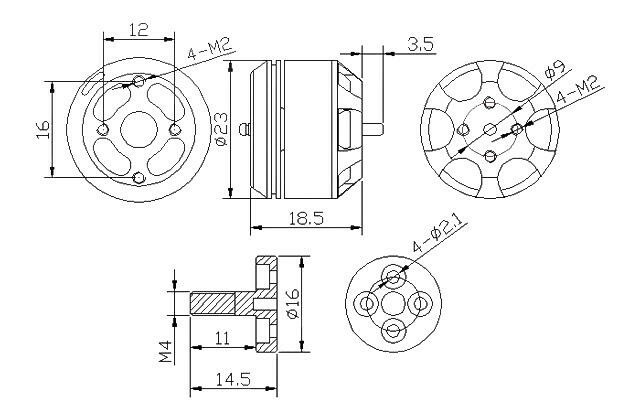 The motor is supplied with a detachable 4mm and 5mm diameter prop adapter with a spinner, mounting screws and the mounting hardware for carbon fiber props. 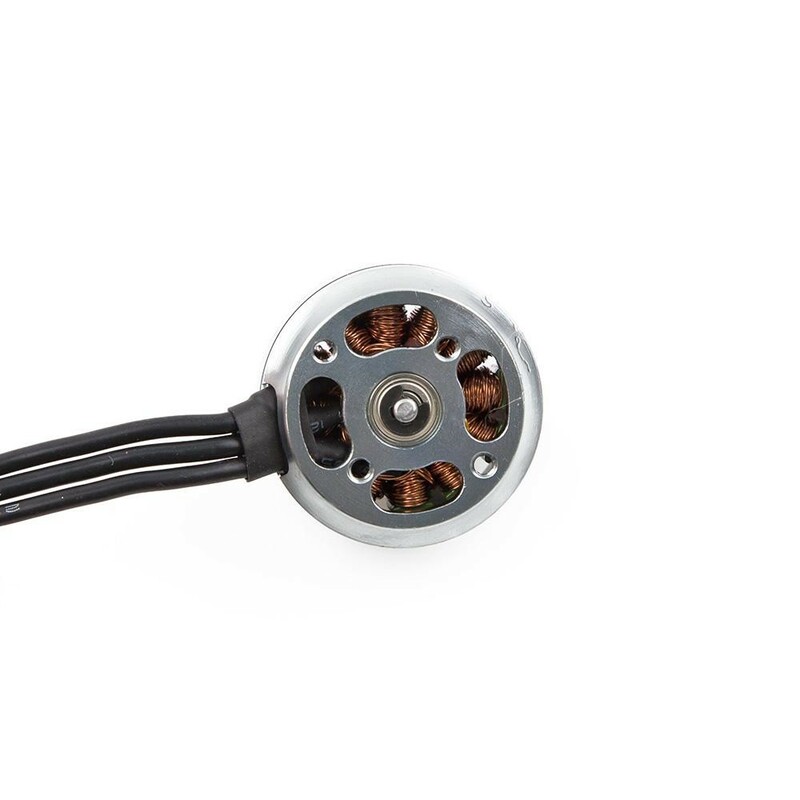 The FXC1806-14 2300kv motor is rated for use with either a 2 or 3S LiPo battery. The 70mm long motor wires with 2mm bullet connectors, allows for either direct soldering to an ESC or to add another bullet connectors of your choice.